The Netflix project is described as "part documentary, part concert film, part fever dream"
After exploring the life and work of Bob Dylan with 2005's No Direction Home, Martin Scorsese is now set to helm a film focused on the songwriting icon's star-studded '70s "Rolling Thunder Revue" tour. 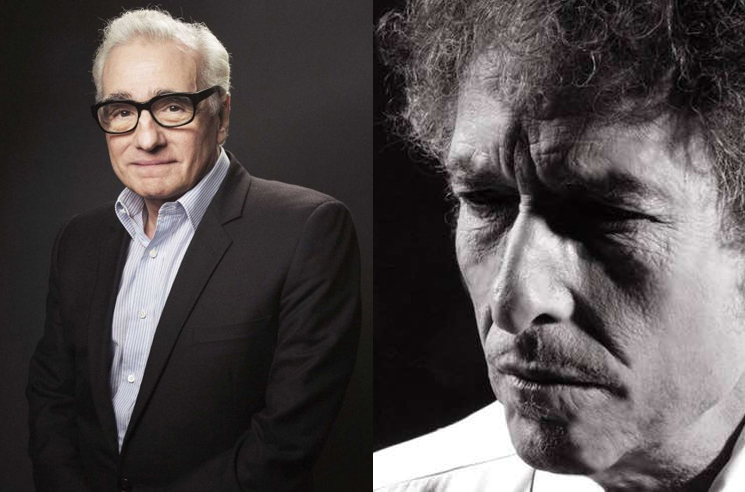 As Variety reports, Rolling Thunder Revue: A Bob Dylan Story by Martin Scorsese is expected to see release through Netflix this year and is billed by the streaming giant as "part documentary, part concert film, part fever dream." Variety notes that Dylan himself was interviewed for the film, in addition to the cast of collaborators the songwriter took on the "Rolling Thunder Revue" with him. Those names include Joan Baez, Roger McGuinn, Ramblin' Jack Elliott, T-Bone Burnett, Mick Ronson and more. Dylan's "Rolling Thunder Revue" saw him and his guests perform 57 shows in two legs in both 1975 and 1976. Other special guests that joined Dylan onstage for individual performances included Joni Mitchell, Ringo Starr, Patti Smith, Bette Midler and more. Last year, Dylan launched his own brand of whiskey named Heaven's Door, and it still remains to be seen whether he ever got in touch with Kanye West. Director Luca Guadagnino also revealed that he was at work on a film adaptation of Dylan's 1975 album Blood on the Tracks.